The Irish women have lost the third Test in the 4 Test series against Chile. The opening exchanges of this fixture weren’t hugely different to the previous two matches in the series with both teams taking some time to settle and create real chances on goal. Lena Tice was on hand to loft aerials over the high Chilean press but the hosts defence kept the Irish attackers quiet. Ali Meeke continued her good form and Hannah Matthews sent some long pint point passes into the danger zone but Claudia Schuler was hand to make the saves when needed. There was little to separate the teams in the possession stats but 2 converted penalty corners were the difference for Chile going into the half. Camila Caram fired a straight shot from the top of the circle in the 21stminute to put her side in front and Manuela Urroz doubled the lead with another well worked penalty corner routine. The Green Army weren’t without chances of their own and replied by winning a penalty corner a minute later but Roisin Upton didn’t fully connect with her shot and the chance went amiss. Efforts on goal were few and far between in the second half with much of the game taking place in midfield or being passed around the respective backlines waiting for an opening that rarely appeared. Chile extended their lead via their third successful penalty corner routine, this time Maria Maldonado adding her name to the scoresheet. The Green Army chased a goal of their own but an effort off the post and another cleared from the line with Schuler beat summed up the small margins of the game that saw Chile convert 3 penalty corners and walk away victors. Chile took the laurels from game three of four in Santiago as they secured a 3-0 win over Ireland at the Manquehue club. Lena Tice was on hand to loft aerials over the high Chilean press but the hosts defence kept the Irish attackers quiet. Ali Meeke continued her good form and Hannah Matthews sent some long pin-point passes into the danger zone but Claudia Schuler was hand to make the saves when needed. There was little to separate the teams in the possession stats but two converted penalty corners were the difference for Chile going into the half. Camila Caram fired a straight shot from the top of the circle in the 21st minute to put her side in front and Manuela Urroz doubled the lead with another well worked penalty corner routine. The Green Army weren’t without chances of their own and replied by winning a penalty corner a minute later but Roisin Upton didn’t fully connect with her shot and the chance went amiss. The Green Army chased a goal of their own but an effort off the post and another cleared from the line with Schuler beat summed up the small margins of the game that saw Chile convert three penalty corners and walk away victors. Hockey World Cup winners Belgium involved in betting on their own matches? The Pro League ia around the corner, but before the International Hockey Federation's (FIH) pet project takes off on January 19, the governing body has an unexpected issue on its table. On Tuesday, reports in Belgian media revealed that as many as 20 matches involving the country's mens team - from 2015 to the World Cup they won in India last December - could be under investigation for possible illegal betting by players and/or staff. According to newspaper reports quoted by Sporza.be, the Belgian Hockey association has been approached by the gambling committee on the issue, following which the Gaming Commission has opened an investigation. "We are at the stage when the Gaming Commission gathers information, which is not a police investigation, contrary to what is in the paper," the website quotes Denis Van Damme, Director of Marketing and Communication with the association. If the investigation leads to the identification of any offences, then the commission will file a report with the public prosecutor's office, which may lead to a judicial inquiry. Van Damme and Belgian captain Thomas Briels didn't respond upon being approached by TimesoFindia.com. However, the FIH did reply saying that they are keeping an eye on the developments. Based on these media reports, we have contacted the Belgian Hockey Association and have full confidence that they will handle this with full cooperation and transparency," said Nicolas Maingot, the FIH Senior Communications Manager. "As an overall principle - and unrelated to these reports - the integrity of competitions is of paramount importance for FIH, as the FIH Integrity Code confirms," he added. Belgium are scheduled to play the inaugural match of the Pro League against hosts Spain this Saturday. "We weten niet of het over de huidige Red Lions of oude spelers gaat"
Vanasch: "Er zijn spelers die graag gokken, maar nooit op eigen matchen"
Reckinger: "Heb het volle vertrouwen in de integriteit van de spelers"
LAUSANNE (Reuters) - Hockey hopes to begin a new era on Saturday when Spain and Belgium kick off its ambitious annual Pro League, a new competition which aims to transform the sport and reduce its dependence on the Olympic Games for exposure. The league will feature nine national teams in the men's and women's competitions, playing each other home and away over a six-month period followed by semi-finals and a final. It is a bold move for an amateur sport but Thierry Weil, the International Hockey Federation (FIH) chief executive, told Reuters in an interview it would offer top-level international hockey outside the World Cup and Olympic years. "There was a little bit of a wake-up call from the IOC in 2014 in relation to hockey, based on attendances and figures during the Olympic games," said the Frenchman, who worked as marketing director at global soccer body FIFA for nine years. "From then onwards, the FIH has been developing this hockey revolution." Argentina, Australia, Belgium, Germany, Britain, the Netherlands and New Zealand will play in the men's and women's leagues with Pakistan and Spain completing the lineup in the men's and China and the U.S. in the women's. India, eight-times men's Olympic champions, are not taking part, having pulled out 18 months ago as the federation did not believe it would benefit the women's team and did not want only the men's team to take part. Weil said they would join in 2021. "We must continue to be a role model and a good federation within the Olympic movement," he added. "But we also need to do other things which allow us to generate revenue on our own, not being 100 percent dependent on the Olympic movement." The teams in each league were selected via an application process and there is no relegation -- something which in soccer would lead to criticism of a closed shop. But Weil said it was necessary to ensure participants had the resources to take part so the competition was sustainable. "You can generate revenues at your home games with ticketing and sponsorship locally but you also need to fly to the other games which is costly," he said. Weil is promoting the idea of relegation internally and the home-and-away format meant "we will have loud and good games with good crowds," he added. The FIH said it would ensure that all Pro League matches would be broadcast live, either on free-to-air channels in 'home' nations or via its own OTT (over-the-top) platform FIH.live, launched in January and which is free to all fans. Field hockey has a long tradition, having been included in the first modern Olympics in 1908, and is widely played, with the FIH boasting 137 national associations. It is, however, not generally considered a mainstream sport although it seems unfair to describe it is a minority sport. Even Weil does not know how many people play the sport. "The first mission we have is to find out how big the sport is; it's a strange comment from the CEO of a federation (but) currently we get surprises every day on how many players there are in the world," he said. "There are hockey fields all over the place in the U.S., in college, and you ask yourself why do you not take advantage of that? There must be people loving hockey a lot in the US." One of Weil's main tasks is to find the right sponsors -- those who cannot afford to go into soccer but want exposure. "Hockey has quite a premium fan base. They are fans who can spend quite a bit of money but we need to find the brands who are looking to sponsor and we need to deliver properly to those companies," he said. After working with the world's biggest game at FIFA, Weil now finds himself on the other side of the fence in a sport which has to fight hard to attract sponsorship and fans. "It's more down-to-earth, its more realistic," he said, adding that he wanted to learn how smaller federations coped. 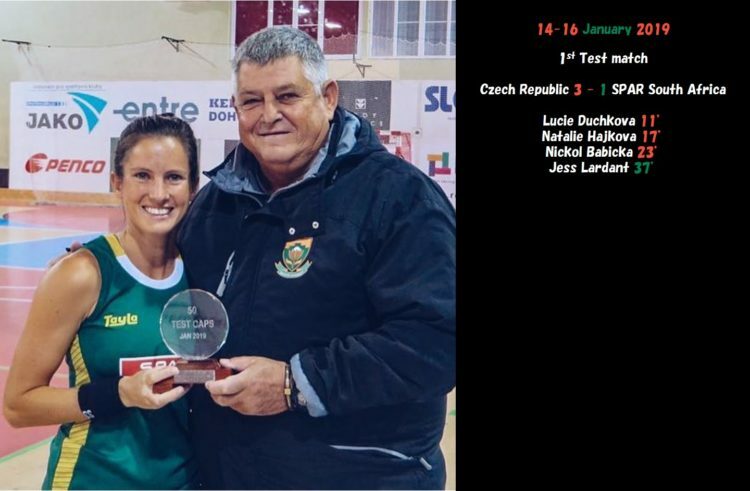 "I always admired the small federations for... how they get events organised and get teams to locations. At FIFA, every team coming (to a tournament) is paid for, hotels are booked, reserved, you have all the staff and agencies. "The approach here is different; hockey is based on a huge number of people doing it on a voluntary basis." One thing that struck him was the sense of fair play. "Given the speed of the game, a player has no time to complain. If a player stays on the ground and pretends to be injured, they penalise their own team," he said. "If you're part of it, you don't notice... but for me, it was 'wow'". LAHORE - Pakistan Hockey Federation (PHF) Associate Secretary Ayaz Mahmood Tuesday said that Pakistan’s participation in the FIH’s Pro League would only be possible if the federation gets the required funds from the government. Addressing a news conference along with Pakistan hockey team coach Danish Kaleem coach, the PHF official made it clear that if the PHF does not get the necessary funds, it will not be possible to ensure the participation of the green shirts in the pro league. Ayaz who only took the office early this month, faced a barrage of stinging questions. “The present setup of the federation has been functioning for the last three and a half year. During this period, the PHF received a total government grant of Rs 542 million from which Rs 320 million were given by federal government, Rs 220 million by Sindh government and Rs 2 million by Punjab government,” he said. The breakup of the expenditure was later presented to the media persons. “Presently, we only have Rs 17.5 million in the kitty. For our first Pro League assignment in Argentina, almost Rs 30 million are required. For the entire Pro League, Rs 100 million to 120 million are needed,” said the PHF official. Ayaz said even in past, when Pakistan won all the meaningful titles, World Cup (four times), Olympics (thrice) and Asian Games (eight times), the federation was dependent upon the government grant. The PHF associate secretary agreed that the government’s reluctance could be due to the damaged credibility because of the misdoings of the past federations. Danish Kaleem emphasized that Pakistan’s participation in the FIH Pro League is important for a number of reasons. “Mere participation would give Pakistan a large number of FIH ranking points. Canada (10th) and Ireland (11th) in the FIH rankings are not part of the Pro League. Our presence in the Pro League should enable Pakistan (12th) to easily go past these countries in the FIH rankings which will increase our chances to qualify for the 2020 Olympics. Moreover, the experience of playing 16 matches against world’s top teams would be a wonderful exposure for our young team,” he elaborated. Ayaz Mahmood said: “In the case of non-participation, the FIH could impose a ban on Pakistan’s participation in the international events apart from inflicting a fine. In all probability, hockey is the sole hope for Pakistan’s presence at the 2020 Olympics ‘through qualification’. Otherwise, it won’t be different from the 2016 Olympics, when not a single sports person could qualify from world’s fifth largest country. The seven Pakistani entrants only came through quota spots/wildcard,” he added. When asked about reinvigorating the domestic hockey scene, the associate secretary said: “Pakistan Hockey Super League (PHSL), which will be a privately sponsored event scheduled in March, promises a lot. I am optimistic about its success. That should lead to more corporate interest in Pakistan hockey; lessening our dependence on the government funds. “I will request the media to fully support PHF’s request to the government for the monetary grant to ensure Pakistan’s participation in the FIH Pro League - so important for the survival of our national game,” he added. Former captain Sardar Singh has been included in a 13-member Hockey India selection committee, to be headed by BP Govinda, a member of the 1975 World Cup winning team. “Yes, I was offered the role and I accepted it. It is a new challenge for me and I am always eager to serve Indian hockey in any way I can,” Sardar told PTI on Tuesday. The selection committee also includes Harbinder Singh, Syed Ali, A B Subbaiah, R P Singh, Rajnish Mishra, Joydeep Kaur, Surender Kaur, Asunta Lakra, High Performance Director David John and chief coaches of the senior men’s and women’s teams. “I have been player for the past two decades and I know what is important for a team. Youth can never replace experience. What I feel is that any good team is a balance of youth and experience. Look at Belgium,” he said. Post retirement Sardar is a busy man, working on numerous personal projects like his upcoming academy in Haryana and also an NGO. To add to it, he also has a few offers lined up to play in European leagues. “I think it was not a wise decision. Harendra (bhai) is one of the best coaches of India. I think we didn’t give him enough time. In the 4-5 tournaments with the senior side he managed 3 podium finishes for India. “I think any coach needs at least four years to build a team and get desired results,” Sardar said. Sardar said with no one at the helm, the Indian men’s hockey team is now in a no man’s land with the Tokyo Olympics just a year-and-a-half away. “We have to go through a difficult Olympic qualifier and any new coach will take at least 5-6 months to get his footing. With a new coach there is always the risk of adopting to a completely new style of hockey,” he said. 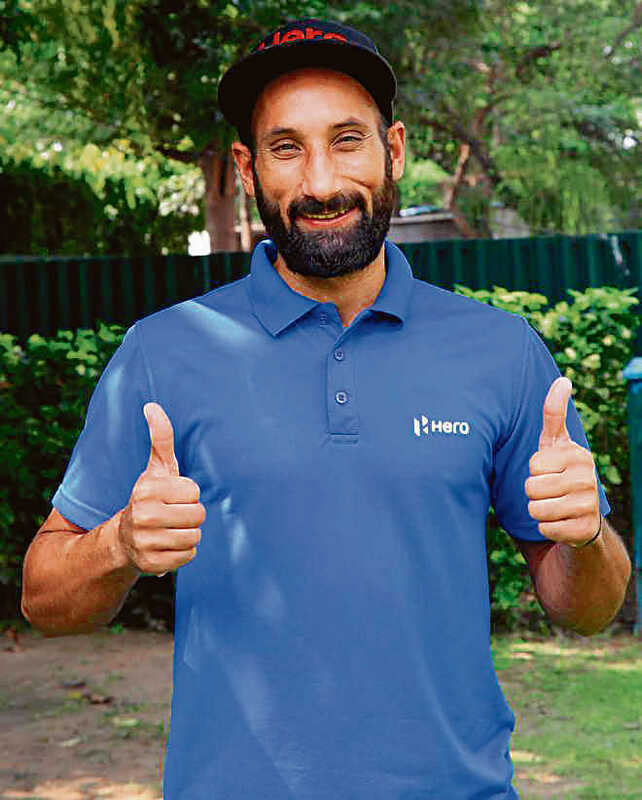 It’s been over two weeks since Hockey India (HI) appointed former captain Sardar Singh as a national selector but he has not yet been “officially” informed about it. Sardar has been part of the 13-member selection committee, which is headed by former India captain BP Govinda, since January 1. Sardar, who announced his retirement last year after he was dropped from the core group for the World Cup, said he had heard of his appointment from journalists but was yet to get an official communication about it. “I have been told so yes,” Sardar told The Tribune on Tuesday. “I don’t think I have been officially intimated through mail but to be honest I have not checked it also. I have only heard about my appointment but I have not been officially told,” he added. Hockey India president Mohammad Mushtaque Ahmad said he was included in the selection committee for some time now. “Yes, he is part of our selection committee and his name is there on our website too,” he said. Sardar, meanwhile, said that he would strive to convince the committee members to strike the right balance of youth and experience in the team. Last year, the selectors, with inputs from high performance director David John and coach Sjoerd Marijne, focused on blooding young players at the cost of a few of the experienced players. Even after Harendra Singh became the coach, the trend continued, with Sardar left out of the core group for the World Cup. Sardar said it was one of the areas which required a fresh look. “I will make sure that those talented players who have come into the core with their hard work… selections will happen on merit. Having said that, I cannot say that selections have been wrong since HI took over. But yes the selections will be done on merit because if you don’t pick deserving players for tournaments, it will break the player,” he said. “As an athlete, whatever I have faced is an experience for me to take it forward. Hockey has given everything to me so the focus will be to select a strong team. Often we have seen that we have picked a few inexperienced players who struggle during crunch situations. So we have to ensure a proper mix of youth and experience in the team. Young players have to be eased into major tournaments as they may struggle in big matches. And honestly we are harming their progress by selecting them for big tournaments,” he added. Having had to sit out many times due to his ‘ageing legs’, Sardar said that a player’s performance should be the main focus for selection and not his age. “Jamie Dwyer, Mark Knowles played even when they were in their mid-30s. Age is not an issue, fitness and performance is. The key is to select someone on performance and not on his or her age,” he said. KUALA LUMPUR: There is no guarantee of a balance in quality between teams apart from escalating costs which makes the proposal of lengthening the Malaysia Hockey League (MHL) season as something that is virtually impossible. National women’s squad coach, K. Dharmaraj said that even though from a positive angle, such a move could improve the level of competition while also making it perhaps even more attractive, however there are many aspects that need to be considered first before such a proposal can be put forth to the Malaysia Hockey Confederation (MHC). "In my personal opinion, if at all we want to have a league that is as long as in Europe, then we must make sure that we can get at least 10 teams that are of equal quality which is very difficult to do. "If we look at the men’s league this season, only three of the competing seven teams are of somewhat equal strength while the rest seem to be lagging far behind, and for the women’s league it’s only four out of the seven teams that are on a level playing field… and this too because of the participation of top China League club Liaoning Infinite Space who have been invited to take part. "It just does not make sense for us to lengthen the league when the matches played are not of a certain level or quality,” he said. Apart from this, Dharmaraj, 50, also outlined the potential inability of certain teams in paying out salaries for world class foreign imports for a long period as another reason why lengthening the league is not a viable option. "At present our league allows each team to have up to six foreign imports, so if the league period is extended then it could make it difficult for top foreign players to come and play here because they also have offers to play from clubs in Europe. "In fact, our teams might also not be able to cope with the high salary demands of these world-class foreign imports. Just try to imagine a month’s salary that is presently being paid, multiplied by six months, can the teams really afford it? Speaking on the difficulty experienced by local players to fight for places in the national team supposedly because of a lack of competitive action after the MHL draws to a close, Dharmaraj has his own opinion on this matter as well. "By right our local crop of players must be brave and daring to try their luck overseas such as on the European continent, such as what veteran forward S. Selvaraju is doing by playing in the Italian league. “If we were to just take a look at Pakistan and India players who do not manage to get into their respective national sides, they are always brave, willing to leave their comfort zones to improve on their physique and game, so that they are in the best shape to perform. "I would like to propose to young and upcoming players to build on their potential by using the right channels available to them, as there are many of our coaches who have links or ties with overseas clubs who could help such players to secure playing or training stints which would benefit them,” he said. Odisha were Tuesday crowned as the champions after defeating Haryana 4-2 in the penalty shootout in the final of the Under-21 men's hockey competition of the Khelo India Games. Siwach could score for Haryana, a statement by Hockey India said. In the bronze medal match, it was Punjab who registered a 2-0 victory in the penalty shootout against Uttar Pradesh after both the teams were tied at 1-1 after all four quarters. Meanwhile, in the Under-17 women's competition, Jharkhand defeated Delhi 11-0 in Pool A match. In another Pool A match, it was Punjab who came out on top against Chandigarh by 4-3. Matches in Pool B saw Mizoram and Haryana register victories in their respective matches. While Mizoram defeated hosts Maharashtra by 5-1, Haryana registered a 3-2 win over Odisha. In the Under-21 Women's competition, Maharashtra and Jharkhand played out a goal-less draw in Pool A. In the other Pool A match, it was Odisha who played out a 1-1 draw against Mizoram to split the points, the statement added.